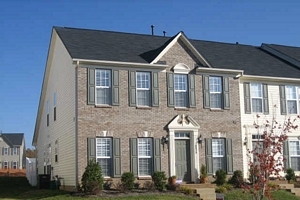 Northstone - Northstone homes in Huntersville, NC. 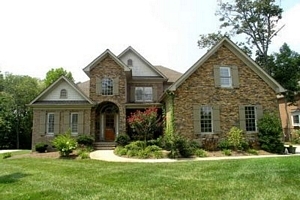 It is one of the leading Subdivisions of Homes in Lake Norman Real Estate for sale market. It is also anchored by the NorthStone Country Club Golf Course. This is one of the best Lake Norman Golf Club communities because of all the amenities that it has to offer. If you join the Country Club, you will have access to the community pool, tennis & basketball courts as well as the fitness center. Buying one of these homes for sale in Northstone gives you easy access to both I-77 and Hwy 73, if you are in need of traveling to Concord, NC. The Northstone Homes Subdivision has many cul-de-sacs, sidewalks and mature trees throughout to go along with its community spirit. This is perfect for those who have families who look forward to mingling with their fellow neighbors. 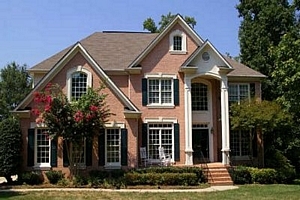 If you are looking for a good Huntersville home for sale, this is a can't miss community. Vermillion - Vermillion homes for sale in Huntersville, NC brings together the new and old when it comes to the development of this great community. Known as the "New Vermillion"; there are many new wonderful lots available for the homebuyer. 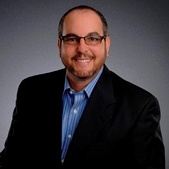 Builders such as Ryan Homes and David Weekley are building spectacular homes along with extra Townhomes in the future. Vermillion homes had been an established community that was unique because it has its own post office, retail stores, offices and restaurant on property. Harvey’s Bar and Grill is the local tavern where the community can meet and come together. The Vermillion Subdivision as a whole is going to be an even more desired and popular area for those looking for a Huntersville Home for Sale. This location is also close to all local amenities such as shops, restaurant, bank and more. The interstate is only 3 miles from this location for business travel. 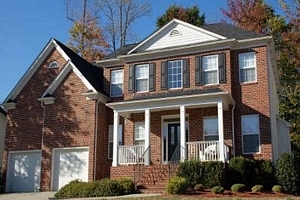 Skybrook - Skybrook homes in Huntersville, NC is another one of the great active living communities in the area. This location is further east from the Lake Norman community of homes by only 15 minutes, and closer to the University area. The Skybrook Subdivision of homes is anchored by the wonderful Skybrook Golf Course and it rolling hills and fairways. Skybrook is filled with many onsite amenities such as a large swimming pool and waterslide (there is even a competition pool adjacent to the main pool), fitness center, tennis & basketball courts, picnic areas and open fields for such things as soccer or football. Leading into the Skybrook Community you will see open fields for horses and farms, so you will not have to worry about living in a cluttered neighborhood. Skybrook is also adding two other communities in the area. They are both a short drive from the main Skybrook development called The Villages at Skybrook North(Concord) and Parkside at Skybrook(Huntersville). For those who prefer something other than a Single-Family Home, there are Skybrook Townhomes for Sale as well. Wynfield Homes in Huntersville, NC - Wynfield homes in Huntersville, NC is a wonderful established community in the Lake Norman area of homes for Sale. This mature neighborhood consists of three defined areas. They are Wynfield, Wynfield Creek and Wynfield Forest. Each having their own price point. The main roadway that runs through the whole Wynfield Subdivision collection of homes curls its way through the many different neighborhoods and cul-de-sac roads that branch off to make up Wynfield; with roads lined with sidewalks and mature trees. The Community Features include a Club House, Playground, Pool, Tennis Courts and Walking Trails. This desirable community is close to all new and growing local amenities and less than 5 minutes from I-77. 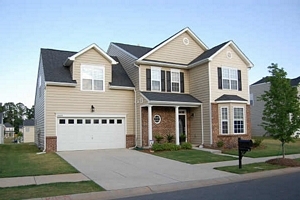 The Hamptons - The Hamptons Homes in Huntersville, NC is on the edge of a very active community of Huntersville homes for sale and all local shops, restaurant, banks, department stores and much more. The location provides for easy access to both Concord and Charlotte, depending on where you need to go. Better yet, you are only 3 miles from Lake Norman! This stylish Hamptons Subdivision has Community amenities such as a Club House, Playground, Pool, Recreation Area and Tennis Courts. Many of the homes in The Hamptons are made with a brick veneer to bring out a bold elegant look to the neighborhood. 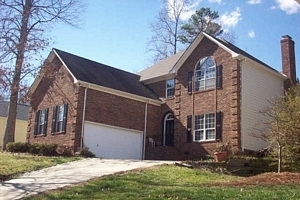 Latta Springs - Latta Spring homes in Huntersville, NC are located toward the western edge of the town. This is a very quiet and peaceful area to live and enjoy your wonderful Latta Springs Home. Mountain Island Lake is right around the corner as well as Lake Norman and the adjacent towns of Cornelius and Denver, NC. It is ideal for those who want to live away from the center of town and the busier traffic, but so close to all the surrounding amenities of the area. The Latta Spring community features include the Lake, Playground, Pool, Recreation Area and Walking Trails. The Latta Springs Subdivision of homes for sale offers many newly constructed homes if you desire something brand new. Or better yet, there are lots available if you would prefer to build your new home. Please feel free to click here to view all of the Gilead Ridge Townhomes for Sale. 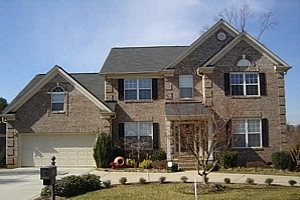 There are also many wonderful Gilead Ridge Homes in Huntersville, NC. 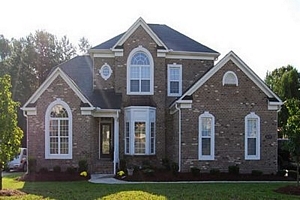 Please feel free to click here to view all of the Villages at Rosdale Homes in Huntersville, NC ....as well as the listings of the Villages at Rosedale Townhomes for Sale in Huntersville, NC. Please feel free to click on the Link to view the Homes for Sale at Cedarfield Homes in Huntersville, NC. 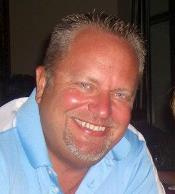 PLEASE CLICK HERE TO VIEW SOME OF THE OTHER GREAT SUBDIVISDIONS in HUNTERSVILLE, NC. 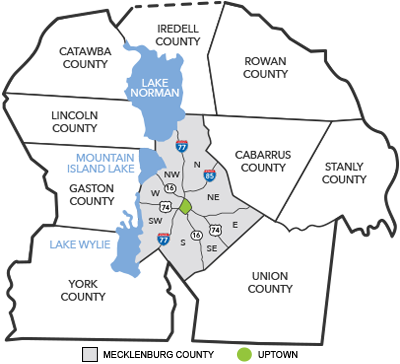 ALL OF THESE HOMES ARE A PART OF THE LAKE NORMAN SUBDIVISIONS IN THE AREA.